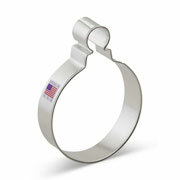 Trim the tree or cut out cookies with the 4 1/4" Christmas Finial Ornament cookie cutter. 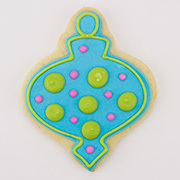 This fancy, elegant shape could be used as an actual ornament on your tree. Also makes a great gift for a decor-loving friend! 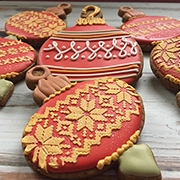 Cookies decorated by A Dozen Eggs and Lorraine Russo Harty. 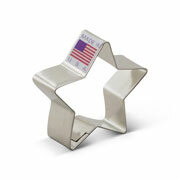 Outstanding made in the USA cookie cutter. Very fast response to order. I would highly recommend this company and their products! 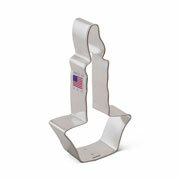 This cookie cutter is one of my 3 for Christmas. Nice sharp lines & nice size for decorating. I did this, white on white, for one tray for a party and another tray of white with Red & Green. Everyone went crazy over it. 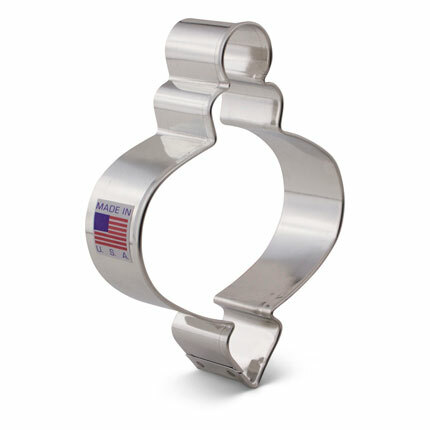 I'd buy this again in a heart beat.